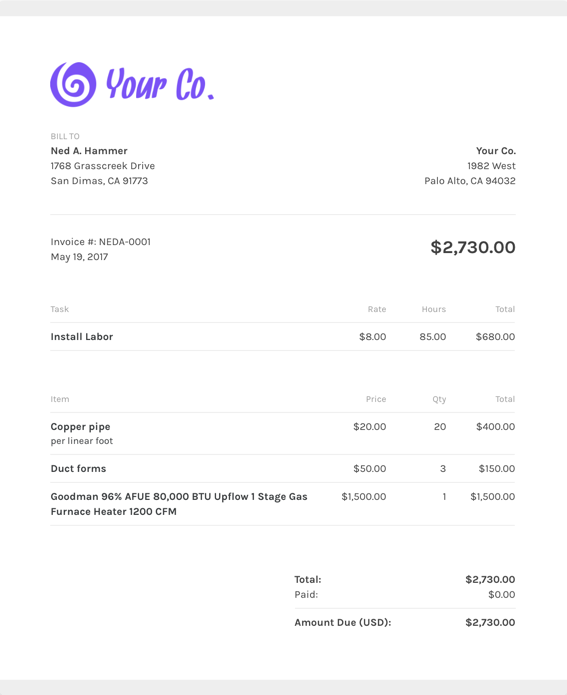 Looking for veterinary invoice templates? We've got you covered! Do I need more than just a veterinary invoice template? Vets are always there to save the day, so let us save you time when it comes to getting paid. It's free, it's easy, and you'll never go back to pushing paper once you've used an online vet invoice template that you can create once and use over and over again. What should I include on my veterinary invoice template? One innovative selling point about ZipBooks is that you can pre-enter all your invoices details into the invoice template. Using ZipBooks for your veterinary invoice never forgetting to include niceties that help you get paid faster, like thank you notes. We’ve collected data from tens of thousands of invoices and use it to score your invoice based on what information you include so you’ll get you paid faster. Why should I use ZipBooks’ veterinary invoice template to create and send my veterinary invoice?